This phone runs on an Android platform of v6.0 Marshmallow which is an attracting feature for the people who are gadget freaks and like to remain updated with technology. This phone has attractive features with regards to storage, camera, processor and display. It offers a satisfactory battery backup in this range of smartphones. In a nutshell, you can conclude that the features of the phone are satisfactory within the range of 13000 INR but Coolpad is not a well-trusted name till now. So, examine the specs thoroughly before grabbing one. The Coolpad Conjr design has GSM/HSPA/LTE network types. The dimensions of the phone are 5.63 inches of length, 2.83 inches in breadth and 0.34inches thick. 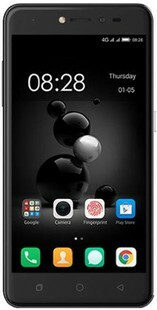 Coolpad Conjr weight is around 148 grams. Dual nano SIM slots are incorporated in the phone. The phone is available in gray colour. The Coolpad Conjr colours are 16M. It comes with a screen resolution of 1280 x 720 pixels. An IPS LCD capacitive touchscreen is available with the phone. The pixel density of 294 PPI is offered by the phone. The mobile comes with a display size of 5.0 inches. The phone also gives multi-touch display features. The screen to body ratio is 66.9%. The Coolpad Conjr gives a dual camera which consists of 13 megapixels of rear camera and a front shooting camera of 8 megapixels for selfies. The phone offers features like geo-tagging, face detection touch to focus, panorama, HDR, LED flash and autofocus. Video recording of [email protected] is also available with the phone. Thus, Coolpad Conjr feature is truly agreeable within this range. The Coolpad Conjr specification reveals that it is packed up with an internal memory of 16GB with a 3 GB RAM. It contains an expandable microSD card slot which is expandable up to awestruck 32GB. So download images, videos, and downloads as much as you an. The Coolpad Conjr battery is of Li-Ion type. The phone has a non-removable battery type with a capacity of 2500 mAh. You can expect a talk time of 17 hours approx and a satisfactory standby time. The Coolpad Conjr is powered by a Quad-core processor with a frequency 1.0 GHz built on cortex A-53 architecture. The phone runs on a platform which consists of Android Marshmallow v6.0. So the phone can be reached by users willing to operate one of the latest android versions. This phone also contains GPU of Mali-T720MP2. The Coolpad Conjr mobile has some other features like (v4.0, A2DP) Bluetooth, micro USB v2.0, WiFi (802.11b/g/n), hotspot, 2G/3G/4G connectivity and A-GPS. This phone has sensors like accelerometer, fingerprint (rear mounted) and proximity sensors. Why go for Coolpad Conjr smartphone? The phone gives many features within a mid budget. The Coolpad Conjr mobile price in India is expected to be 13600 INR. Also, you can compare it with Xiaomi and Lenovo phones within the same range. Coolpad Conjr full specs and reviews as of Apr 2019. Buy it here!